On the road for a business trip? Here are a few tips to make your journey less stressful, including the right way to hire a corporate car service like Revel Drive in Sydney. Travelling for work may feel exciting the first few times but anyone who does it regularly will tell you it can quickly become tiring and stressful, particularly if you’re not organised. Airport delays, confused taxi drivers and poor quality hotels can all make a work trip a nightmare but there are ways to ensure your trip goes smoothly. Here are some expert tips on making corporate travel a breeze, including hiring a corporate car in Sydney. If you don’t mind an early alarm, book the earliest flight possible. These are the least likely to be delayed as they won’t be impacted by unexpected events which build up during the day. When you travel, it also makes sense to avoid Monday morning or Friday evening flights when the airport is at its busiest. The things you take when you travel for work shouldn’t change much. Make a list which includes your chargers, your earplugs and the toiletries you can’t live without. If you travel regularly, buy a ‘travel set’ of these things to leave in your suitcase. This will save you from having to find everything before you leave each time. Losing your luggage or forgetting your wallet at a restaurant can put a real dampener on your trip. Business travel experts recommend you stash an additional credit card in your suitcase when you travel so if you lose your wallet you will still have access to your money. Hoping to get a taxi or Uber late at night or at peak travel times can leave you running very late. If you pre-book a corporate car from Revel drive you can rest assured your driver will show up and that they will know where to go (another time saver). This is particularly helpful in Sydney, where there is a lot of competition for taxis and Ubers at peak times. The other advantage of using Revel Drive, our cars all come equipped with an outlet to charge your phone or laptop, plus cool bottled water and free wifi so you can fire off some important emails while you travel. When you travel for work, delays happen! This includes waiting for your plane or for business colleagues who are running late. Sometimes you can find yourself jet-lagged, starving and waiting for an hour-long conference presentation to finish so you can eat. At Revel Drive, we love to keep a muesli bar or packaged snack to keep us going until the next opportunity to have a proper meal. Expect the unexpected and don’t plan back-to-back appointments when you’re on the road or you will find yourself stressed out as you try to get from place to place. This is another area where using Revel Drive can come in handy. Instead of relying on different services, book one provider to take you to your various appointments and back to your hotel at the end of the day. If you visit the same places regularly, try to stick to the same providers. By going to the same hotel and restaurant, using the same booking service and relying on your preferred corporate car service, you can get to know the people supporting you and they can get to know your requirements. Looking for a corporate car in Sydney? Revel Drive provides a brand new experience, offering chauffeur-driven electric Teslas. We can tailor our service to meet your business travel needs. Contact us to find out more or set up an account. Revel Drive can provide a wedding package tailored to suite your requirements, see details here Australia Wedding Tesla Limo Service. Call us on 0404 33 77 99, email us at <[email protected]>, or use the contact form on our web page <https://reveldrive.com.au/contact/> to make an enquiry. The pace of acceleration from 20-60 mph has few peers, and this is probably the most usable window of speed in the Sydney Area for a performance car. Because it’s silent. You “could” ( we don’t) shoot down a street without drawing glares from people on the paths. 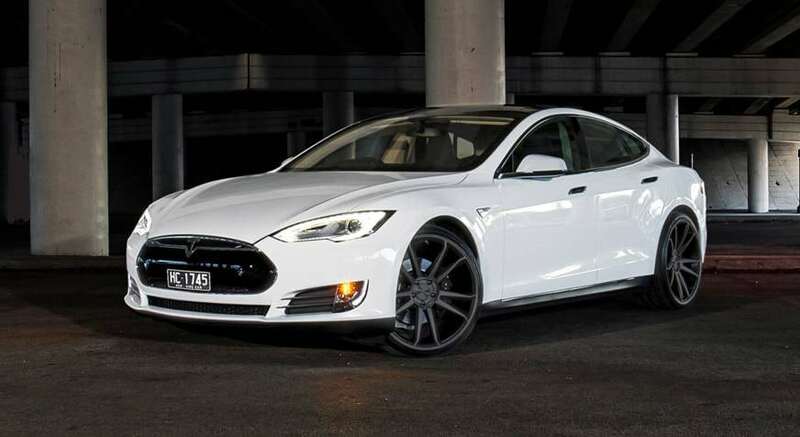 There’s just something about the electric drivetrain thats different to other prestigious cars. The car is a head-turner. People are always taking pictures of it; I once walked back to where it was parked and there were three Private School Boys (Shore) taking selfies using it as a backdrop. Almost every day, people give me a “thumbs up” or shout “I love your car!” We hear the same questions repeatedly, and predictably. It’s very low; you ride about six inches away from the concrete road, which makes it feel even faster, like riding a go-kart.